My arrangement started out very flashy and, very honestly, overworked. I think I may at some point post selections of the ikebana pieces that got a thumbs down, just for fun. 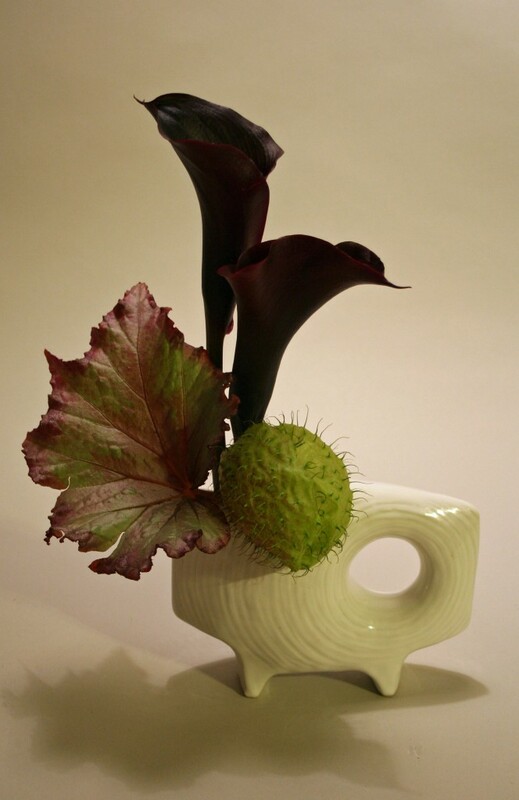 For today it was better to be simple and work in a small ikebana vase. 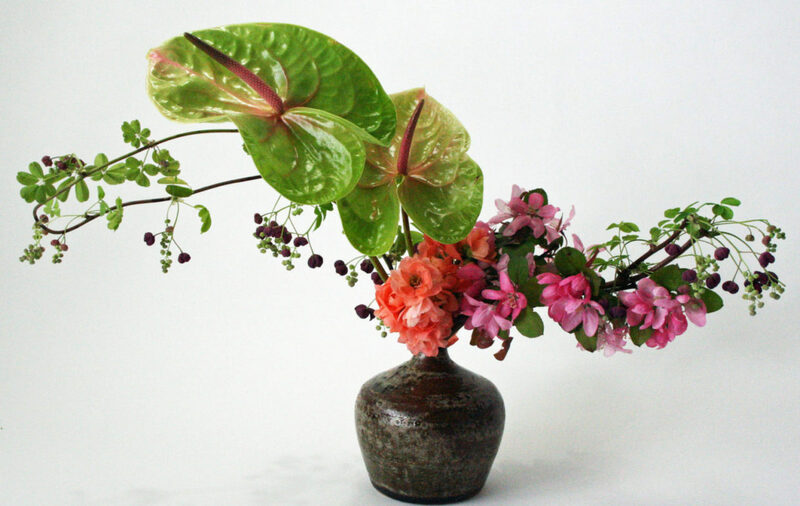 The materials are black calla lilies, a begonia leaf and asclepias physocarpa. It a great combination of green and purple (as the callas are really a very dark purple). The overworked arrangement pales in comparison to a more simple, orgainic design. Sometimes less really is more. Oscars are so fun! Great color and texture combination with the callas and begonia leaf.